If you have the Royal Wedding blues after the unforgettable wedding ceremony of ‘Suits’ actress Meghan Markle and Prince Harry at St Georges chapel at Windsor Castle two weeks ago then hopefully we can help……..
As the new Duke and Duchess of Sussex embark on their future together as man and wife we were thrilled to receive this fabulous (and somewhat emotional) video of a surprise proposal that The Vegas Show Girls were lucky enough to be asked to be a part of last year. And what better day to plan a proposal of this scale than Valentines day?! 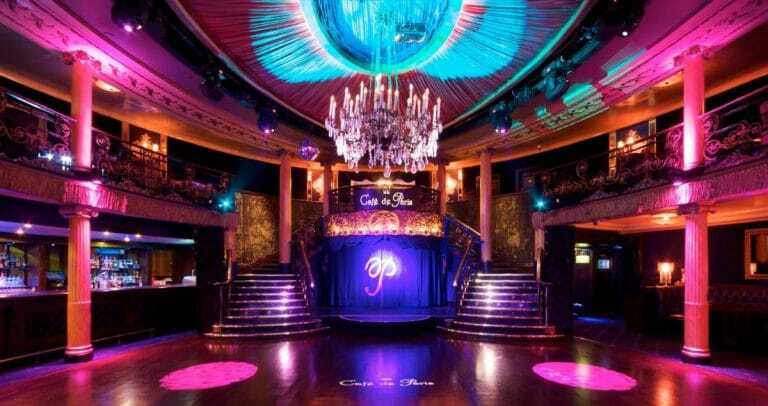 With love in the air this Moulin Rouge themed surprise proposal unfolded at London’s famous Cafe De Paris venue. Draped in red velvet curtains the interior of this iconic venue was the perfect setting for the chosen theme. The couple in question were Ahmed and Jessy. Jessy thought she was being taken for a romantic lunch but Ahmed had much much in store for her than she ever expected! 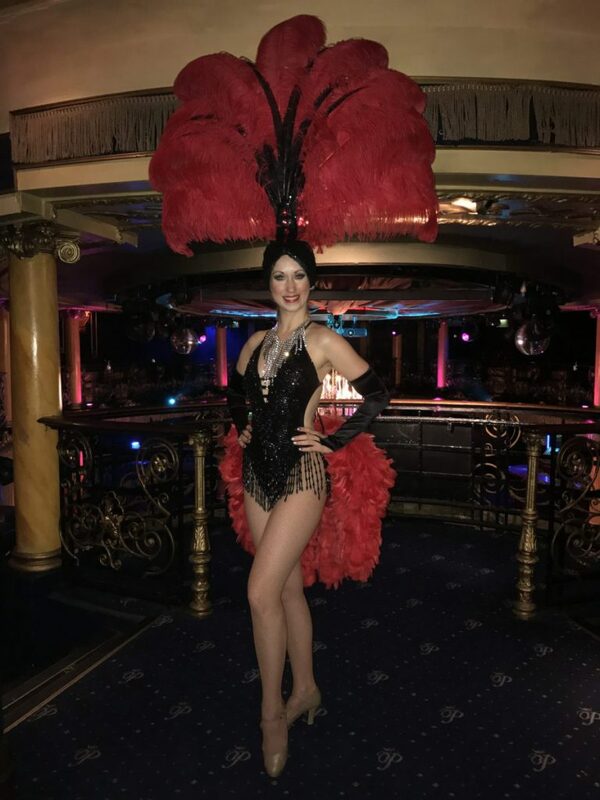 Our show girls then lead Jessy to the proposal spot in the centre of the ballroom, where she had a private performance of choreographed routines to a selection of pre selected songs from the movie Moulin Rouge. 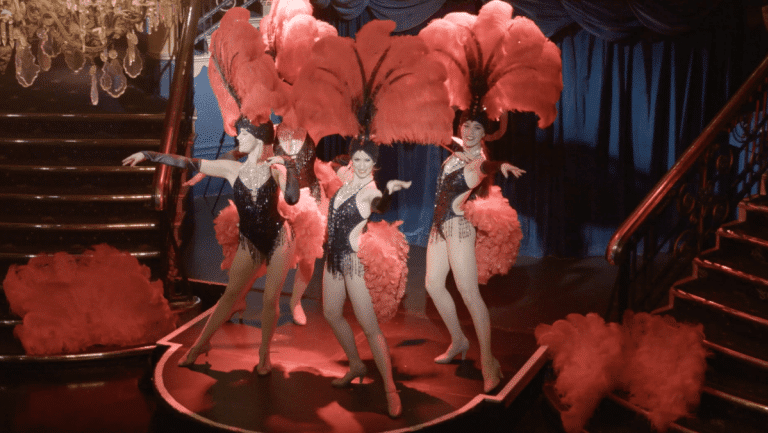 During this cabaret performance, the Vegas Show Girls opened their feathers to reveal Ahmed on one knee. As Ahmed popped the all important question the show girls let of giant confetti cannons and the rest as they say, is history! Of course she said ‘YES’! The happy couple then danced in the middle of the ballroom, to their favourite song followed by a private meal in this stunning venue, whilst being serenaded by the Vegas Show Girls. We are delighted to share the full video of this romantic proposal with you below – tissues at the ready! Maybe the next Royal wedding might take inspiration from this fabulous and unique proposal? !